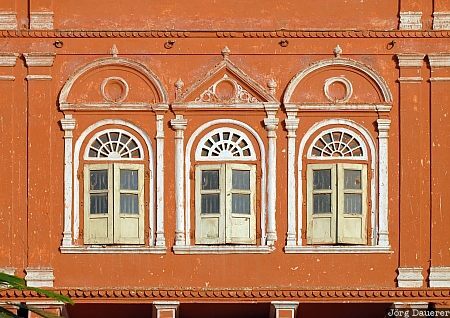 Windows in the "Pink City" Jaipur illuminated by warm evening light. Jaipur is the capital of Rajasthan in northern India. This photo was taken in the afternoon of a sunny day in October of 2007. This photo was taken with a digital camera.